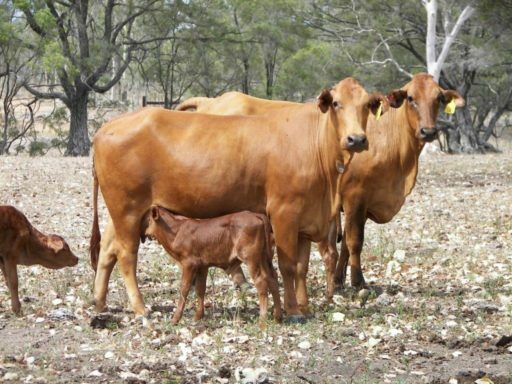 Two-thirds of calf losses in northern Australia could be occurring within a week of birth, as evidenced in research on Beef CRC herds. By applying some basic strategies, producers can improve the number of calves weaned each year through enhanced breeder herd management. Avoid mustering during calving – losses are greater in maiden heifers, so manage these extra carefully. Sustain moderate-to-good cow body condition at the point of calving and calve when adequate feed is available. Ensure there is sufficient feed within 2km of clean, cool water. Determine the phosphorus status of the breeder paddocks and, if acutely deficient, provide phosphorus during late pregnancy and lactation – each litre of milk needs one gram of phosphorus. Use strategic supplementation to rectify other deficiencies, especially protein, in pregnant cows. Provide adequate shelter, such as trees, and well-drained areas in calving paddocks. Vaccinate pregnant cows against major endemic diseases to boost colostrum antibodies. Cull cows with bottle teats or a very large udder at calving, and do not breed with bulls out of cows that have poor udders and teats. Visit www.mla.com.au/cashcow or find further resources at www.futurebeef.com.au (search ‘calf survival’).